East meets West as Mediterranean Guitarist Paul Cypress and Bansuri Flutist Manose Singh join together in their new release "My Beautiful Gypsy." Through their music, Paul and Manose paint a musical canvas of their journeys down roads less traveled. Paul Cypress lives much of his life in Dubrovnik, on the Adriatic Sea, a crossroads of cultural diversity that inspires his musical style. He first performed the Mediterranean Guitar style that he developed with legendary guitarist Antonio Pisac in Dubrovnik, Croatia in 1975. Later that year he recorded this new style on his first album entitled "The New Age Guitar." In 1976 the Canadian Broadcasting Company shot a documentary film about Paul Cypress and his music on location in Dubrovnik. With the release of his third album in 1979, Paul’s music had been distributed in thirty countries on European and Canadian record labels and had been used for film soundtracks in Japan, Canada, and Europe. Consistent worldwide success followed until the onset of the Balkan war in 1991. Until the termination of this conflict, nearly ten years later, Paul did not pursue performance or recording venues. 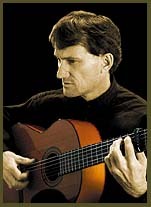 Possibly the most articulate critique of Paul Cypress was penned by Bob Smith in Leisure Magazine for the Vancouver Sun Newspaper, British Columbia, Canada: "Refreshing and innovative, adept with one hand as the other, the sounds he elicited from his fingers and fret board whirred like hummingbird wings." Manose Singh lives in his native Kathmandu, Nepal; his artistry evokes the powerful beauty of this ancient and magical place. Singh is one of the most noteworthy new faces in the world music scene. At the age of twenty-three, his talent as a solo performer in North Indian classical music, as well as his versatility in other genres, has carried him throughout Europe and America. 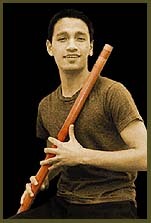 Manose began his studies of the Bansuri flute (bamboo flute) at the age of eight. As his interest in music quickly deepened, he went from playing Nepali folk songs and other popular music to serious study of the Indian Raga form. He was soon recognized as a child prodigy, and at fifteen he was named as Nepal’s "Instrumentalist of the Year". He has been teaching bamboo flute since he was seventeen at the University Of Kathmandu and appears regularly on Nepali TV and radio. Manose has performed at the annual Asian Festival in Basel, Switzerland and at numerous Nepalese embassies around the world. In his 1999 United States Tour he met and began performing in concert with Paul Cypress, which lead to their newly released CD.